The physicians at Apex Dermatology are highly trained and specialized, board-certified, dermatologists taking care of blemished skin and diseases of all age groups. Apex Dermatology cares for a complete range of skin diseases both unique and common skin issues including moles, eczema, acne, warts, birthmarks, skin infections, rashes and hereditary skin cancer. At Apex Dermatology in Mayfield Heights OH, we offer a broad range of aesthetic, medical, and laser treatments that can not only help prevent acne, but also correct imperfections and mild scarring that can result from acne. Ready for to put a stop to your acme? Would you like to schedule a consultation for acne treatment? Please contact Apex Dermatology today and we will be happy to discuss your options and meet with you today. Mohs micrographic surgery is most commonly completed on an outpatient basis with a local anesthetic administered to the area around the skin cancer. Surgery usually starts early in the morning and is finished the same day unless the skin cancer is extensive. Requiring visits to your dermatologist are recommended to check on your progress of the treatments and check spots for any possible cancer recurrence as soon as possible. 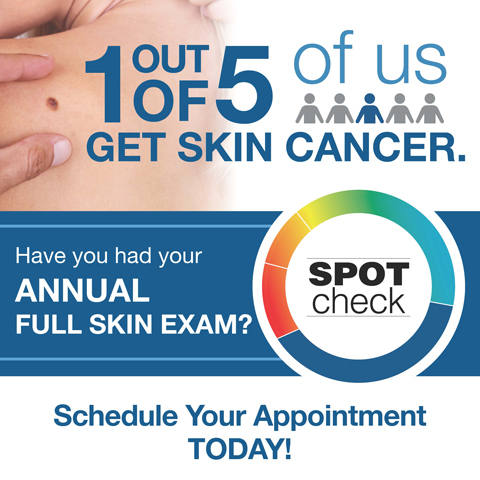 One in five Americans will develop skin cancer in their lifetime, which is why it is so important to detect and remove lesions early.